On the morning of December 24th, 1944, Brigadier General Frederick W. Castle (s/n 0-319375), woke to the greet the day, and like most pilots facing perilous missions, he probably wondered if it would be his last. However, knowing what I know about Castle from my research, he was a calm, confident and highly competent pilot, so most likely, he had every reason to believe in the success of his next mission. Sadly though, that was not to be the case. Castle never made it back that night. On Christmas Eve of 1944, this brave pilot lost his 30th and final battle. Frederick W. Castle was born on October 14th, 1908 at Fort McKinley in Manila, the Philippines. He came from an active military family and was the son of Col. Benjamin Frederick Castle. Following the end of World War 1, he was to settle in the United States in Mountain Lakes, New Jersey. From a young age, Castle was groomed for a life of military service. He attended Boonton High School and Storm King Military Academy before moving on to the US Military Academy from where he graduated in June 1930. 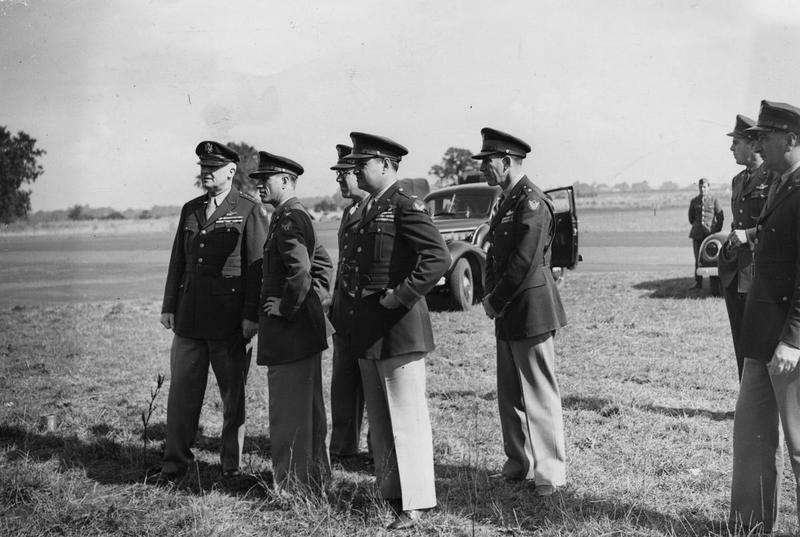 His first service was with the New Jersey National Guard, where he stayed for two years transferring to the Air Corps, March Field, California, then onto Kelly Field in Texas. Castle gained his wings in October 1931. Serving as a pilot with the 17th Pursuit Squadron for 3 years, he eventually left the forces returning to civilian life but holding a reserve status. With the entry of the United States into the Second World War, Castle would be called upon by his good Friend Ira Eaker, and he returned in January 1942, being promoted within two months to Major and then onto Lieutenant Colonel in the following September. With the forming of the Eighth Air Force in England, headed by General Ira Eaker, Castle was one of seven high-ranking officers selected to fly with him on the dangerous route over the Bay of Biscay, eventually arriving at Hendon wearing their civilian clothes. Joining Eaker on February 20th 1943 in the DC-3 from Lisbon were: Lt Colonel Frank Armstrong Jnr, Major Peter Beasley, Captain Beirne Lay Jnr, Lt. Harris Hull and Lt. William Cowart Jnr. Castle desired a combat role, and this desire would lead to him taking over the command of the ailing 94th Bomb Group. His methods of command were initially considered weak, but in the face of low morale and apprehension, he personally took the 94th to some of the furthest targets yet, his first being Oschersleben in the heart of Germany; a mission that went on to inspire the film “12 o’clock High“. 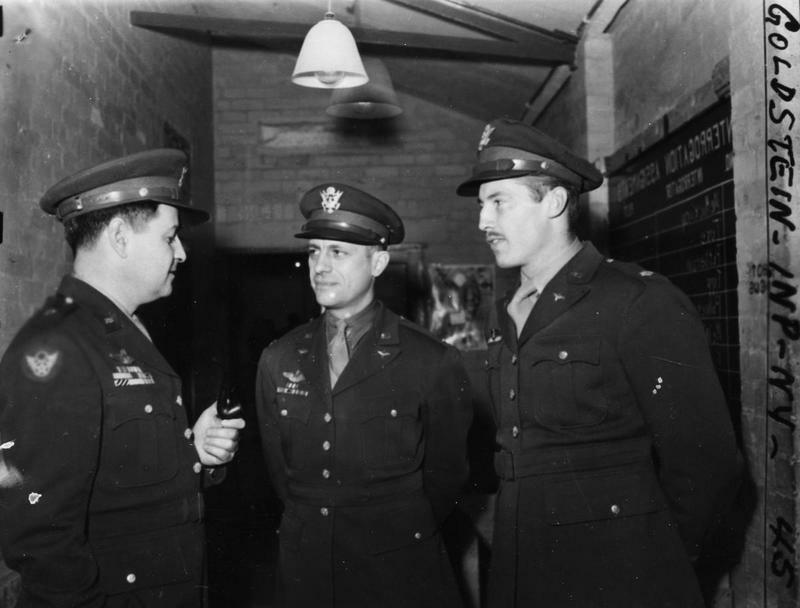 Castle went on to fly in many combat missions including numerous high prestige targets, a role that took him on to Brigadier General and command of 4th Combat Wing. On Christmas Eve 1944, following a week of poor weather, orders came though for a maximum effort mission, involving every available B-17 and B-24 in support of the troops in the Ardennes. Airfields, supply lines and troop movements were to be attacked, and good weather was at last predicted. A joint effort, this would be the largest single attack to date involving 500 RAF and Ninth Air force bombers, 800 fighters and just short of 2,050 Eighth Air Force bombers. Such was the demand for aircraft, that even ‘war weary’ examples, were hastily armed and prepared, many unfit for more than assembly or training duties. Truly an armada of incredible proportions. Taking lead position, Frederick Castle, was in B-17G-VE, ’44-8444′ “Treble Four“, an aircraft that had itself seen battle experience. Assigned to the 836BS, 487BG, and at RAF Lavenham, it was previously damaged in a raid over Darmstadt. The aircraft was salvaged in January 1945. A veteran of 29 missions, Castle was a more than a competent leader. They set off, the weather as predicted, but with a haze that restricted ground level visibility. This haze prevented the fighters from leaving causing an all important delay. This delay was not considered a major problem at the time however, as the escorts would soon catchup and overtake the laden bombers. The Luftwaffe, making an unprecedented move, brought forward fighters into the Liege area to meet the oncoming bombers before any escorts could reach them. In the first few minutes of the battle, four of the 487th BG’s aircraft were downed and a further five forced to land in Belgium. Castle’s lead plane, suffering problems with one of its engines (possibly due to previous battle damage) was attacked by the first wave of fighters, action was taken to leave the flight and join a formation further back. It was then attacked again, the aircraft catching fire, and the navigator wounded. Castle took control, and even though still being attacked, refused to jettison the bombs for fear of killing civilians or allied troops below. Further attacks led to both engines on the starboard wing catching fire, which ultimately led to the fuel tank exploding sending the aircraft into an uncontrollable spin. Through Castle’s actions, seven of the crewmen were able to leave the aircraft, sadly not all survived. Frederick Castle died in the crash, his body is now buried in Henri-Chapelle American Cemetery, Liege, Belgium, Plot D, Row 13, Grave 53. For his action, Frederick W. Castle was awarded the Medal of Honour posthumously. In 1946, the Castle Air Force Base, in the heart of California’s San Joaquin Valley, was dedicated in his name, and on June 20th, 1981, the Castle Air Museum was officially opened on the now closed base, for the purpose of preserving the Air Force and Castle heritage. Museum details can be found here. His name is also on a plaque in the Memorial Park, in Mountain Lakes, New Jersey. The awarding of the Medal of Honour, reflected the determination and personality of one of Eakers “Original Seven”, who chose to leave a safe position for a combat role, taking on the demoralised 94th, and leading them into some of the Second World War’s most ferocious air battles. “The B-17 Flying Fortress Story”, Roger A Freeman, Arms and Armour, 1997. “The Mighty Eighth”, Roger Freeman, Arms and Armour, 1986.